The Practice of No Problem is a meditation technique based on everything I have learned about how we can replace the habit of having a problem with the habit of having no problem. Imagine a riverbed that water runs through. Habits of mind are like riverbeds that thoughts run through. You can’t fill in the riverbeds in your mind, but you can dig new ones that divert the water of your being in new directions and create new habits of mind. 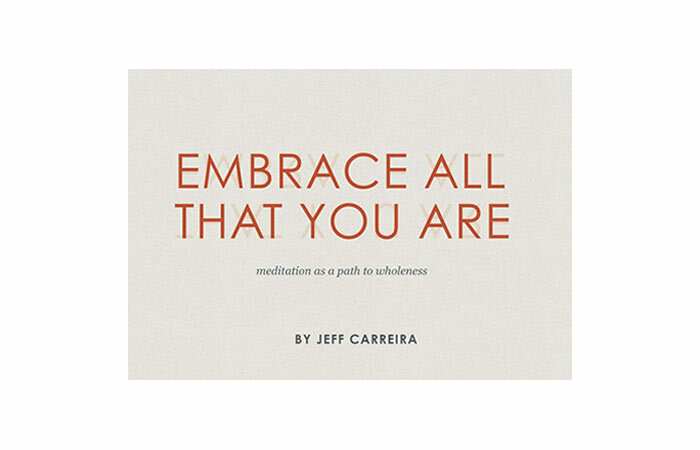 The Practice of No Problem allows us to move beyond our “having a problem” habit by creating a new habit—stronger than its counterpart—of “having no problem.” You will find by the end of this book that this practice, this meditation, can take you much, much further than that, but you have to start by consciously practicing having no problem until you develop a deep habit in that direction. 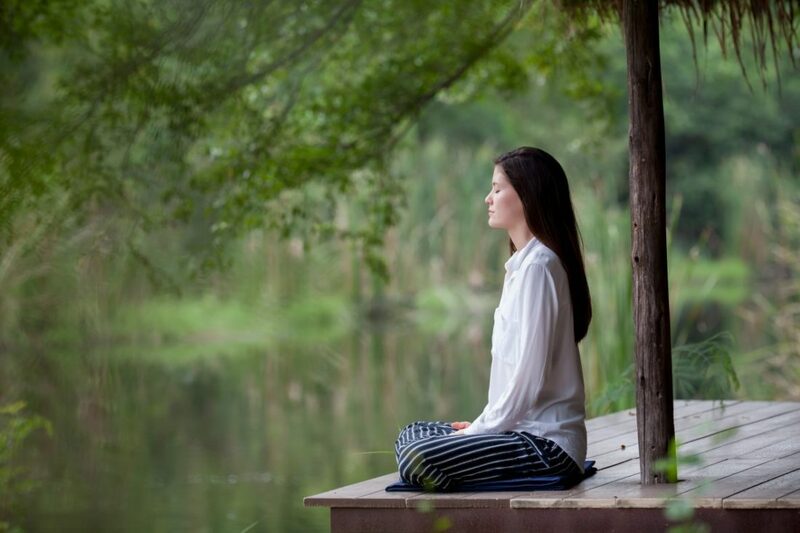 When you meditate in this way, all you need to do is sit comfortably. You can close your eyes or leave them open, and the only instruction you need to follow is to have no problem. That means that no matter what happens and no matter what you experience, it’s fine. When you don’t have a problem, you don’t need to do anything because nothing is wrong. So to practice having no problem in meditation you simply do nothing. You assume that whatever you are experiencing is not a problem, and you just let it be exactly as it is. That’s it. You don’t need to do anything.Simply watch the habits of your mind unfold. Experiences will arise; you will react to those experiences in different ways; you will see yourself react; you will react to yourself reacting; and this will go on and on and on. All you have to do is watch all of these habits of mind unfold. Just allow it all to happen without getting involved in any of it. It will all happen anyway. You don’t need to do anything. Just sit and let it all be. As you sit, many things will pass through your mind. You may have insights about it all. That’s fine; just let it happen. Watch how interesting ideas initiate a process of mental metabolism that generates more ideas. Don’t identify with that process. Don’t assume that it is you thinking. Just let it happen. The fact that it’s happening is natural and obvious, and there is nothing you need to do about it. Just sit, and don’t relate to that experience in any way as a problem. When you sit in meditation, just observe the habits of your mind unfolding, and don’t make a problem out of anything. Continue to have no problem with whatever arises. See how simple it actually is. Be aware of whatever you are aware of; don’t make a problem out of any of it. Eventually you will be overwhelmed by how simple it is. At that point a counter argument may appear in your mind. “It can’t be this simple. If this is all meditation is, then meditation isn’t anything. It’s what I’m doing all the time anyway; it’s just living.” If such an argument appears in your awareness, simply observe it and let it be. Don’t do anything about it either. Don’t assume that the existence of that argument is a problem. Continue to have no problem no matter what arises, no matter what experiences you have, no matter what thoughts you have, no matter what thoughts you have about the experiences you’re having, no matter what thought you have about the fact that you’re having thoughts about your experience. You get the idea. None of it is a problem; it is all just what is arising in consciousness. In this meditation all you have to do is nothing.